The announce was made by TFA’s Competition Manager, Penateti Feke after meeting the high schools’ football committee and representatives from the participating schools. Feke said all parties agreed to give the go-ahead signal after being deferred for months. “But now we are free to go and we are looking forward for a successful season.” Feke added. This year’s tournament will be contested between 20 teams from 5 different High Schools and Colleges, competing in 4 different categories, Under 20, Under 17, Under 15 and Under 13 for both boys and girls. Meanwhile, the 2012 competition will not see reigning champions Tonga College and Tonga High School due to the respectful decision by the ministry of education to withdraw from all sport activities regarding academic reasons. The feat means there will be new champs to be crowned this year. “It’s sad not to have the best teams but it’s an opportunity for the rest to have a crack at the title and hopefully ‘Atele and Tonga High will be back soon.” Feke said. Tonga College and Tonga High School were crowned king and queen for winning almost all the titles that is been contested in the past 5 years. 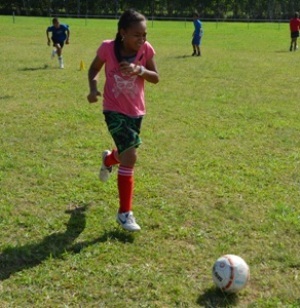 By the way, St. Andrew High School, Tailulu College, ‘Api Fo’ou College, Takuilau College, Tonga Side School and Pakilau Middle School are set to kick-off the new season, which will last for 7 weeks. They will play a round robin format tournament with the top 4 team of each grade will progress to the semi-finals, scheduled for August 10 and the final on August 17. But for the opening day, Tailulu College will challenge 2011 U-17 Boys runners up, ‘Api Fo’ou College in the main game of the day. First match kicks-off at 12:00pm and all games will be played at the Home of Football, at Valungofulu, ‘Atele.